I’ve created a three part videos showing how to assembly a MEWP (Mobile Elevated Working Platform) in Autodesk Inventor for use in Autodesk Revit using the .ADSK format. A typical workflow I often use is to create objects in Autodesk Inventor which require a lot of Mechanical movements and then use the BIM exchange tool to “Export” for use within my Revit project. 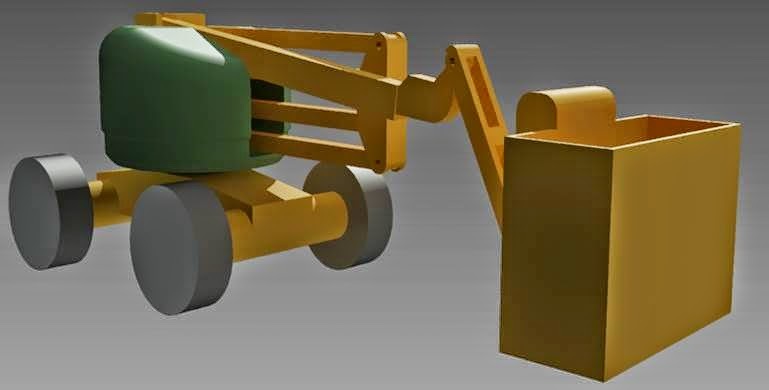 Often you maybe be asked to demonstrate the maintenance or construction around the building project in 3D, and creating a crane or MEWP in Revit can be very difficult to achieve the movements, whereas Inventor has all the tools needed. Also you can use the model elements as part of a Navisworks Model exported from Autodesk Revit.